How Do Urate Crystals Stop Gout Forever? Urate crystals are the cause of gout. So how can we expect them to stop gout? New science just confirmed an old idea. Because we need a new view of gout, to stop it forever. I wrote How Do Urate Crystals Stop Gout Forever for all gout sufferers who are confused about what gout is. Because gout has a poor reputation for understanding, and for control. So, if you are happily progressing towards Gout Freedom with a safe recovery plan, you do not need to read this. Instead, you should focus on stopping your own gout forever. But if you feel lost or unwary about how you can stop your gout, now’s the time for a fresh look. Because a new study by leading rheumatologists has finally realized a fundamental truth about gout. 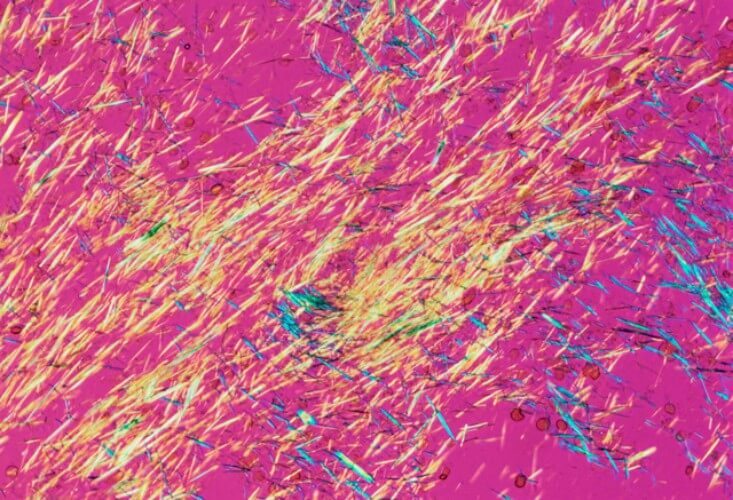 That is: to stop gout forever, we need a new look at urate crystals. Do you think it’s possible that urate crystals can stop gout? After all, it is urate crystals that start gout, isn’t it? Now, it’s perfectly true that uric acid forms crystals in our bodies when the levels get too high. Then, it’s also true that those crystals cause gout. But, as soon as ‘the G-word’ is mentioned, people lose the plot. Gout sufferers become obsessed with food, purines, and alcohol. Physicians become obsessed with pain control and normalizing uric acid levels. Then, instead of working together to make uric acid safe, patients and doctors take separate paths with different views on how treatment should progress. The end result is patients stop taking the meds. Or, doctors stop looking for permanent solutions. Because each side has lost sight of the enemy – uric acid over 6mg/dL. But now we have a new report that should end this in the simplest of ways. Gout will be banished. 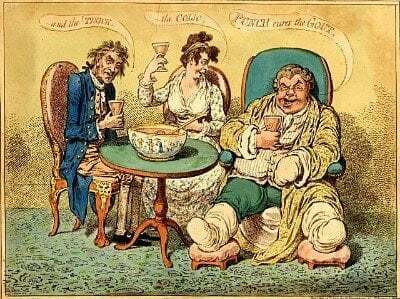 The popular view of gout conflicts with modern understanding. Because it overempasizes diet and alcohol. So, this study investigates the effects when we rename the disease Urate Crystal Arthritis (UCA), rather than gout. 189 participants completed questionnaires that referred to either gout or UCA. Questions covered likely causes, illness perceptions, and usefulness of different control plans. Caused by poor diet and too much alcohol. Socially embarrasing yet under patient control. Best controlled by diet changes. Best controlled by long-term medication. Maybe you should read those results again. Same disease! Finally, I’d like to compare this report to my own similar recommendations from almost 10 years ago. Because I recommended we change the name to Uric Acid Arthritis (link below). But it doesn’t matter too much about the exact name. As long as we change it. Call it uric acid or urate. Because all that matters is controlling it, not what it is called. In the same fashion, it’s like someone with a wheat allergy worrying about the difference between flour and bread. So, for practical purposes, there is no difference between urate and uric acid. However, if you really must know more details, use the search box at the top of every GoutPal page. Then search for monosodium or MSU. Because most uric acid crystals are MonoSodium Urate. But personally, I find it easier to use uric acid to embrace all its forms. So uric acid includes crystals and liquid form everywhere in your body. Ultimately, you reduce uric acid in your blood which causes uric acid crystals (urate crystals) to dissolve. Finally, dissolving those urate crystals will stop your Urate Crystal Arthritis. Then both you and your doctor can be happy that your uric acid is under control. Also, I can be happy that you stopped your gout. In conclusion, you can see that it is best to stop mentioning gout. So instead, talk about uric acid arthritis, or urate crystal arthritis. In fact, you can see from my 2016 update to that recommendation there is another important personal factor. Because, even when you realize that gout is a serious disease, talking about it can be embarrassing. But if you discuss your uric acid arthritis, the embarrassment goes away. When you focus on the real issues you can stop talking about gout. Then, you control the real problem and gout is gone forever. Why not chat about your uric acid arthritis now? Just don’t mention Gout! Petrie KJ, MacKrill K, Derksen C, Dalbeth N. “An Illness by Any Other Name: The Effect of Renaming Gout on Illness and Treatment Perceptions.” Health psychology: official journal of the Division of Health Psychology, American Psychological Association. 2017 Aug 24.